Yzerman the victor yet again? - Steve Yzerman was the manager who led Team Canada to gold at the 2010 Vancouver Winter Olympics. Yzerman was the player who played hurt but was a key cog in Team Canada's gold in Salt Lake City in 2002. Steve Yzerman was the manager who led Team Canada to gold in the 2010 Vancouver Winter Olympics. Yzerman was the player who played hurt but was a key cog in Team Canada's gold in Salt Lake City in 2002. Yzerman is the general manager who was a "star" in and around the trade deadline. He acquired draft picks and prospects for the likes of Pavel Kubina, Dominic Moore and Steve Downie. Then on deadline day he added three new defencemen in Mike Commodore, Keith Aulie and Brian Lee. Now, despite all the changes, and the loss of Vinny Lecavalier, the Lightning are making a late charge for the playoffs. Blake Geoffrion joined us on Hockey Night in Canada Radio shortly after being included in the trade package that the Nashville Predators sent to Montreal in exchange for defenceman Hal Gill. He was recalled this week from the Hamilton Bulldogs of the AHL by the Canadiens. That means he will become the current piece of the first-ever family to have four generations play for a North American based professional sports team. His great grandfather is Howie Morenz, his grandfather is Bernie "Boom Boom" Geoffrion and his father is Danny. For his first home game at the Bell Centre on Thursday night (CBC, CBCSports.ca, 7 p.m. ET) against the Minnesota Wild, Blake just needs to look to the rafters to see where the banners for Howie Morenz and Bernie Geoffrion proudly fly in the Canadiens' ring of honour. I give the Vancouver Canucks credit for making an unpopular deal in trading Cody Hodgson to the Buffalo Sabres. Though Zack Kassian is still unproven at the NHL level, he brings a style of grit and toughness that was lacking for the Canucks, particularly over the four rounds of the Stanley Cup playoffs, and especially in the final against Boston. Marc-Andre Gragnani, who came along to Vancouver with Kassian, will provide underrated depth to a team that lacked it at times when the likes of Keith Ballard struggled in the playoffs. The Dallas Stars seemed like they would be "stars" on trade deadline day but their recent success, which has them now back among the playoff bound teams in the Western Conference, meant the likes of Mike Ribiero, Steve Ott and Sheldon Souray stayed in the Lone Star state. Calgary Flames general manager Jay Feaster was livid after a 6-1 home loss to the Edmonton Oilers last week and challenged his team during the broadcast of their next game against Minnesota. "Fool me once, shame on you...fool me twice, shame on me", Feaster challenged his squad that had "fooled" him last year to standing pat on trade deadline day. He promised a "very busy day" on Monday if things didn't change for the better. They didn't, but the Flames were the only Canadian based NHL team to not make a trade of any kind on trade deadline day. I give credit to Feaster for now being fooled a third time into making a bad deal based on emotion and being reactive. Give the Ottawa Senators credit for hopefully plugging their age old playoff nemesis from the past - goaltending. When the Senators were among the best teams in the NHL (1999 to 2006) during the regular season, it was their goaltending that often let them down in the Stanley Cup playoffs. With the injury to Craig Anderson (torn tendons in his hand), the Senators wisely traded a second-round pick to the St. Louis Blues for the top goaltending prospect in the American Hockey League, Ben Bishop. He joins the Senators own top goaltending prospect Robin Lehner to make an impressive tandem in a year where few picked the Senators to even make the playoffs. Lehner recorded his first career NHL shutout in a 1-0 win over Boston on Tuesday. Ottawa wisely no longer has its playoff goaltending eggs all in one basket as the team did in 2006 when Dominik Hasek's "nagging groin injury" never stopped nagging. Anderson is "expected" to be back for the playoffs, but now they have acquired capable goaltending insurance. The Leafs' 5-3 loss to the Florida Panthers last Monday could have been the final component in the passing of the torch for a franchise achievement of futility. It was 2000 when the Panthers were last in the playoffs, which gives them the longest string of consecutive years of not making the Stanley Cup playoffs. The win over the Leafs strengthened their hold on a playoff spot while it was a significant blow to Toronto's dwindling playoff hopes. If the recent trend continues and Florida makes it and the Leafs don't, the Toronto will hold the dubious distinction of the longest consecutive years (of all 30 NHL teams) of not making the playoffs, dating back to their last appearance in 2004. Speaking of playoff memories, Wayne Gretzky joined us on Hockey Night in Canada Radio and confirmed a story that media colleague and ex-King Marty McSorley told me a week earlier. 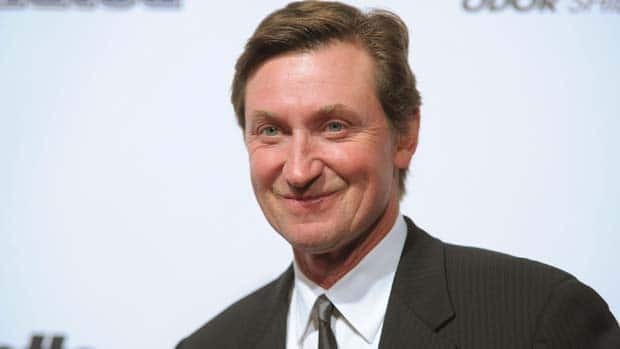 It was about Game 7 of the Leafs-Kings Conference Final game at Maple Leaf Gardens in 1993, a game that Gretzky feels was his best playoff performance. Gretzky chuckled about the memories. A scathing article in the Toronto Star after the fifth game asked if Gretzky was "done?" It was a big motivator and his King teammates loved it because they knew it would motivate their captain. Leaving a Toronto hotel before the seventh game, Gretzky made small talk with one of the guys on the security detail. The security person talked about how it was quiet but his work was really going to begin at 10:00 after the Leaf game because the town would be packed with fans celebrating. Gretzky left with the remark "don't worry about being busy at 10:00...my work starts at 7:00 and I'll take care of that." He arrived at Maple Leaf Gardens and learned that actor Mike Myers was desperate for two tickets. Gretzky called the visiting team stick boy over. He signed two of his sticks and told him where to find a well known ticket scalper outside Maple Leaf Gardens and to procure two tickets for his friend. Before hitting the ice for the pre-game warm up Gretzky told the team about the famous people who were there to support him and his team. He told them John Candy, Alan Thicke and a "surprise visitor" would be there. He was trying to help loosen up a tense Kings team. During the warm up, Gretzky noticed many of his teammates laughing and/or chuckling to themselves. He was one of the last in on the "joke." There was Mike Myers in the prime gold section just a few rows from ice level in the seats that two Wayne Gretzky autographed sticks had bought him. There Myers donned a Toronto Maple Leaf jacket, scarf and hat, fully clad in blue and white. Another not really needed motivator for the Great One that helped the Kings. Gord Stellick Gord knows hockey. He better. He became General Manager of the Leafs when he was 30 years old and then became Assistant GM for the Rangers. He's been covering the game ever since. He's now host of Hockey Night in Canada Radio, heard Monday to Friday, 3:00 p.m. ET - 6:00 p.m. ET on Sirius 157.